Use our search facility to hunt down the best prices for Spanish camper van and motorhome holiday hire. If there is an amazing camper van or motor home hire deal on offer in Spain, here is where you will find it! This search service is operated by one of the world’s most experienced motorhome booking agents who book thousands of motorhome holidays each year! Spain is one of the most popular holiday locations. Millions each year pack the coastal resorts, and often many complain that this part of Spain has turned into a hot version of England. There are so many night clubs, fish and chip shops, that the true essence has been long taken away. If you want to truly experience the real Spain, then you must look elsewhere, and away from the typical tourist spots. The best way to do this is with a camper van hire Spain service. Renting a campervan is an extremely affordable thing to do, and puts the whole country at your feet. Imagine just unpacking everything into the camper van (the only time you’ll need to do this), filling it up with fuel, and setting off into the Spanish countryside, totally ignoring the tourist traps. You will drive, stumble upon small villages, stop, experience the food at restaurants, wander around them, all the while enjoying the glorious sunshine. When you’ve seen enough of one spot, then hop into your campervan, and head off to the next place. Spain has a fantastic abundance of camp grounds too. It is here the magic really happens. You will meet like minded people, share your experiences, receive their recommendations for other places to visit, and then sit back and enjoy the evening with good food at your camper and some wine. Spain has some wonderful places to visit, but no visit should be complete without a trip to Barcelona, and its magnificent cathedral and historic sights. If you like sport, then a tour around the Nou Camp, home to the football team Barcelona is a must see. All is easily accessible with your camper van. Once you’ve done this, you can then branch out and perhaps rotate by spending a day on the road, followed by a day relaxing at one of Spain’s great campsites, followed by a day of exploration. That’s a pretty good schedule to follow to ensure you are able to fit relaxation and experience in. 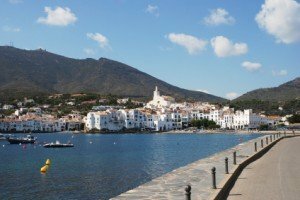 Another good thing to do is because Spain is one of the largest countries in Europe, and unless you have a great deal of time, then consider planning an itinerary. You may wish to plan to see Spain over several years, if so, on a map, carve the country up into manageable sections. The first two years you can explore the north, the next, the middle, and then finish at the south. This way, you really get to see the country properly rather than rushing. Remember a holiday is as much about relaxing and refreshing yourself as it is about experiencing and seeing everything. Camper van hire is perfect for this type of holiday. But whatever way you decide is best for you, campervan hire Spain is such a good way to explore and see the country. With so much opportunity to go off the beaten track, the ability to change and modify your plans as you go along, plus it be extremely affordable, campervan hire is the way to get close to the country.